Office of Communication of the General Curia in Rome released this message today: January 22, 2014 Fr. G. Gregory Gay, C.M. Superior General of the Congregation of the Mission and the Daughters of Charity, announced that, due to health concerns, Fr. Patrick J. Griffin, C.M. will step down as the Director General of the Daughters of Charity. This position is based in Paris. Fr. 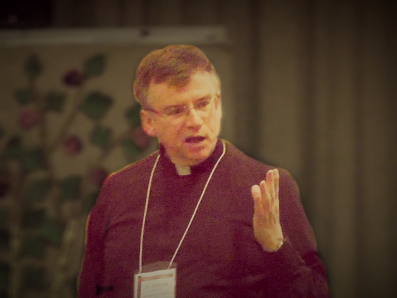 Patrick Griffin, a native of Brooklyn, NY, is a member of the Eastern Province, USA and was ordained in 1979. He studied at the Catholic University of America, where he earned a doctorate in Sacred Scripture. He has spent his 35 years in priesthood as an educator, working as a seminary professor and formator and in higher education as an administrator and teacher. He has also organized ongoing education programs for diocesan clergy and given retreats for the Daughters of Charity. Before being named the Director General and moving to Paris, Fr. Griffin served as Executive Vice President for Mission at St. John’s University in Queens, NY.